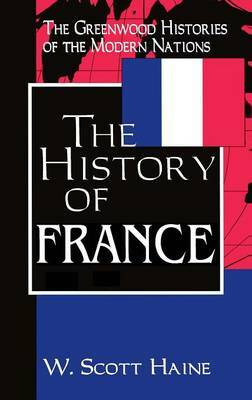 This is the most up-to-date, concise, yet comprehensive narrative history of France, current through the end of 1999. Engagingly written for students and general public, it brings to life the compelling history of this fractious and fascinating country, which has given to the world cultural glory and a model of democratic revolution. No longer a nation of peasants or small shopkeepers, France has weathered the storms of the first half of the 20th century to emerge as the fourth largest economic power in the industrial world. At the turn of the 21st century French society is in dynamic flux, shaped by integration, feminism, youth culture, and economic and social change. Each chapter of this work covers a distinct period of French history, from prehistory to France at the end of the 20th century, examining the problems and issues of that era and how they impacted later events. Following a timeline of significant events in the history of France, the work begins with an overview of France today, its geography, government, religion, economy, and society. Eleven chapters trace the chronological history of France, the major figures who shaped it, and its economy and society. Haine, a specialist in French history and culture, makes the complex history of France as monarchy, empire, and democratic republic not only understandable but interesting, with sidelights and human interest components that enliven the text. Short biographical sketches of notable people in French history and a bibliography of print and electronic sources will aid the student researcher. Every school and public library should update its resources on France with this lively and succinct narrative history.